I'ts been a long time since I posted any prints for you lovely readers, so I thought I'd create one and share it with you just in time for Mother's Day. I know things have been some what quiet on the blog and not as busy as it use to, the main reason for that is I've opened up an Etsy shop! I've been working hard on creating prints for the home and will soon be selling coffee mugs as well. This is something I've been wanting to do for a few years now and finally decided to just open up a shop and do it. YOLO, right?! My shop is called, A Cup Of Pretty. If you'd like to check it out to see if there are any prints you'd love, I'd appreciate it so much. Right now I'm only offering digital prints, but actual prints that I mail directly to buyers will soon be an option. Loyal readers, don't worry, the blog will soon be back to business with lots of giveaways and reviews for you to check out and enter. 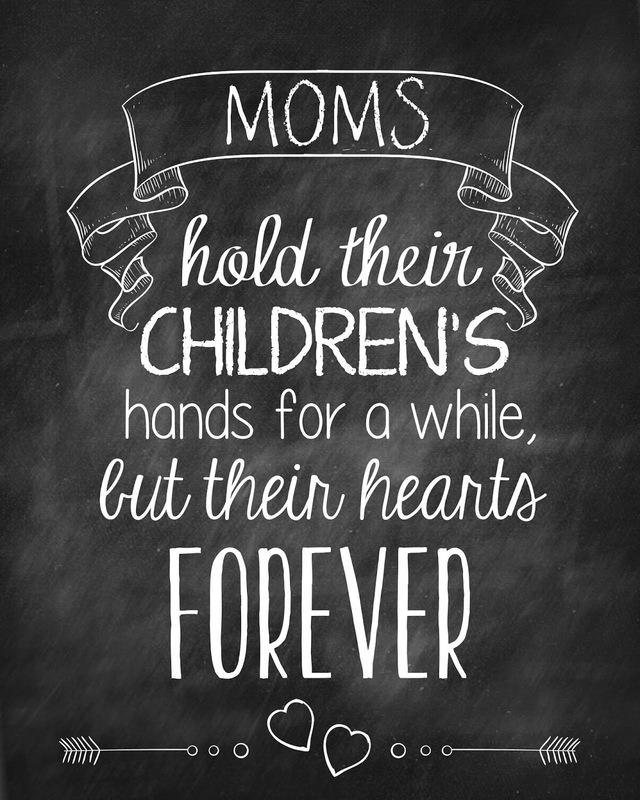 In the meantime be sure to download and save this print to give to a mom this Mother's Day. You can print it out on your home printer or have it printed out at your local photo center. Enjoy!